Some of these strategies involve the if-you-can’t beat-’em-join-’em brand of marketing, as PepsiCo is now pushing its new Bubly brand, a sparkling water beverage reminiscent of you-know-what. This move is aimed to help Pepsi land a piece of that booming sparkling water market, which “grew by more than 15 percent last year to $2.4 billion.” Last month, Dr Pepper hooked up with Keurig coffee pods, “in a $19 billion tie-up that has industry-watchers both stumped and intrigued.” And Coke recently released a new line of Diet Coke flavors that, according to our reviewer, don’t taste a whole lot better than the old Diet Coke flavors. 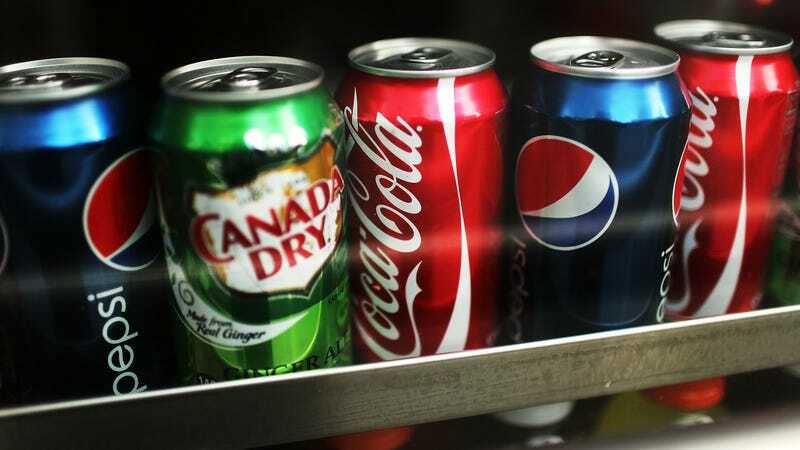 These veteran sodas almost seem like dinosaurs in the market, fighting a losing battle as they compete “with a larger-than-ever bevy of alternatives including fizzy waters and other flavored no-calorie and low-calorie drinks,” making their sugar-filled or artificially flavored beverages less palatable than an Izzy, say. You can read more about the changing state of the beverage world at The Wall Street Journal today.